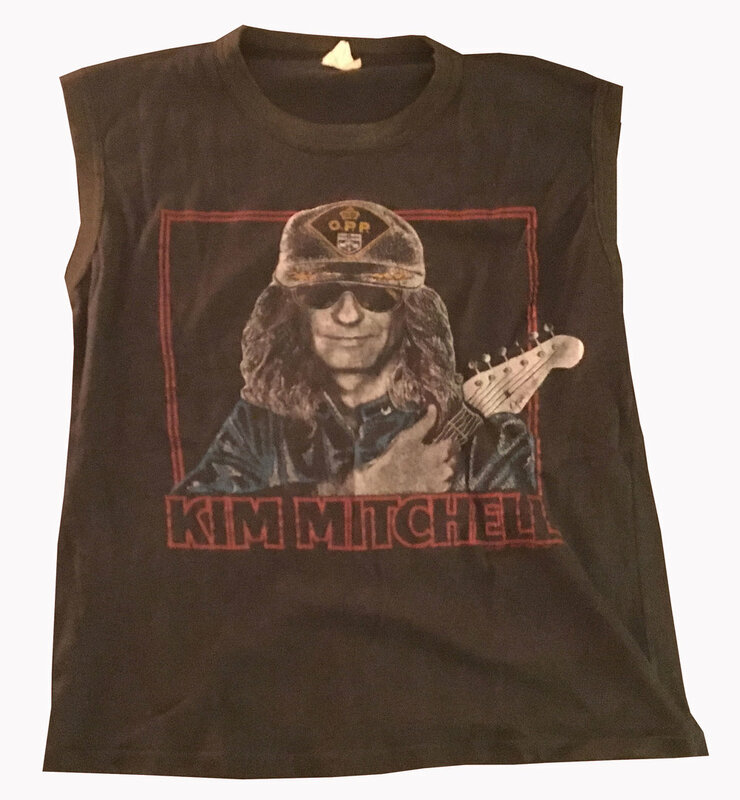 T Shirt Museum part two: Kim Mitchell, my first Rock and Roll Love. My first concert, and my first concert shirt. 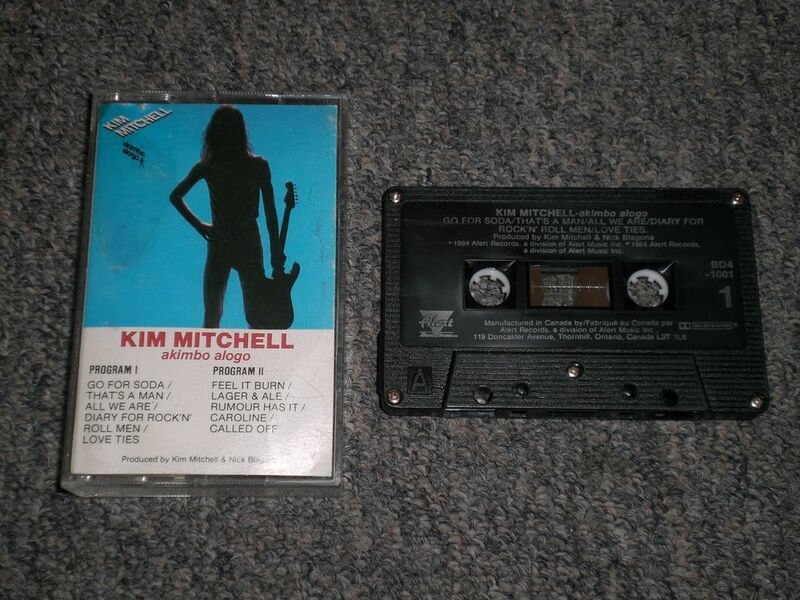 Kim Mitchell was super-important to me. He was a Rock Star from Sarnia - a mind blowing concept to me, at 12, as I was discovering the power of rock music. And he was the first person I ever heard of who who had LEFT Sarnia. Kim Mitchell accidentally taught me that I did not have to stay. On it, Max did a duet with RUSH called Battlescar - a full-bands duet - two kits, two basses, etc. It’s pretty crazy. If you haven’t heard it, go listen to it here. 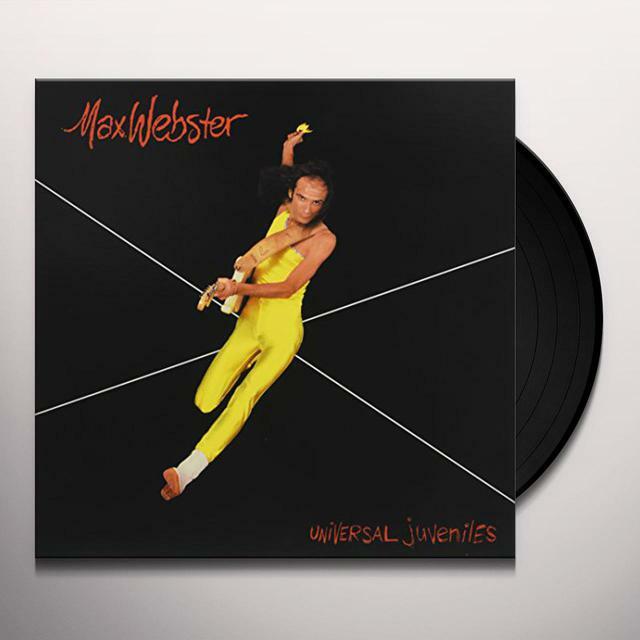 Max Webster’s closeness with Rush (they were always named in Rush liner notes, too) was important social currency… a kid I knew had an older brother who had hosted an early Max Webster rehearsal in his basement: instantly, a Cool Guy, to me. Shortly afterwards, (1984) Mitchell released his first full-length solo album, and started wearing that hat. It was called akimbo alogo, and had a fantastic blue cover (for its original release), and the sounds on it still kill me, if not the songs. When he came to town - what seemed to me a glorious homecoming - I went to the Record Store to line up and get his autograph. As he signed my records, we made him laugh, which made me very happy. Years later I made Mary Margaret O’Hara laugh. That was even better. The Sarnia Arena was acoustically perfect for Hockey, I guess. I can still picture the whole experience, somehow, but not the actual show. The weirdness of finally being at A Holy Place - a rock show! - and noticing the empty back half, seeing people leaving during the encores (to avoid the heavy Sarnia traffic) and the ebb and flow around the merch table. That special post-show feeling afterwards in the parking lot. I bought this shirt there. It made my little muscles look great. On the back, see the tour dates. I wore it proudly.